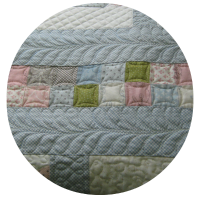 The most cost and time effective way to complete your quilt is an all over design, (edge to edge) If you choose edge to edge (E2E) quilting and purchase your batting from me I will give you a 50% discount on the batting!This type of quilting works well for quilts that have simple piecing and are going to be used and hopefully loved by the grandkids, neighbours and friends. 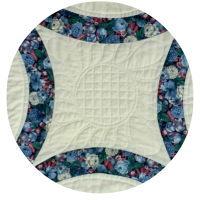 An E2E design can work well for a quilt that you have made as gift, or one of those quilts that has piecing you are not proud of. 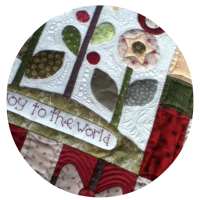 Custom quilting comes into action with such quilts as samplers, English Paper Pieced, block by block (Block of the Months) and stitchery quilts. These have all taken more time and care to make. These quilts need to really shine! 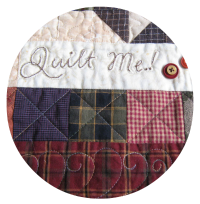 Maybe this quilt is intended for a wedding, an anniversary, welcoming a special new baby, a show piece or just one you are darn proud of! 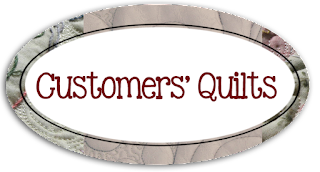 I offer what I call a 'Full Quiltmekiwi Service' where not only will I quilt your quilt to your liking, I can also make, attach and hand stitch or machine stitch your binding in place. 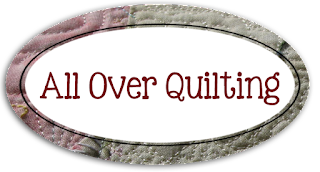 A few tips before sending your quilt to me. A square quilt is a happy quilt. Please measure your quilt before adding sashing and borders and cut to these measurements, wavy quilts are often impossible to 'quilt out'! Please see this link for great tips on how to attach sashings and borders. Trim all threads, you don't want any dark threads lurking around, these are especially visible under light fabrics. 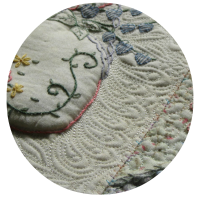 Pieced backings: remove selvedges on any seams, (selvedges on the outer edges can remain as these give me a straight edge) 1/2” seam and press OPEN. Backing & batting (which I can supply if you wish) needs to be at least 8" larger than the quilt top. Please NO CALICO for backings. As each quilt is unique, so also is the price! Please contact me for an obligation free quote.